Although Sling makes it easy for your employees to see their schedule online and in the app, sometimes it's necessary to post a paper copy in your workplace or share it with a third party. First, you should use the filters to remove any info you don't want to include on your printout/PDF. For example, you may want to hide wages and sales projections or remove any empty rows. Next, make sure you are in the view you want to print (Day, Week or Month), then click the Print button at the top right corner. A list of options will open in a new window. 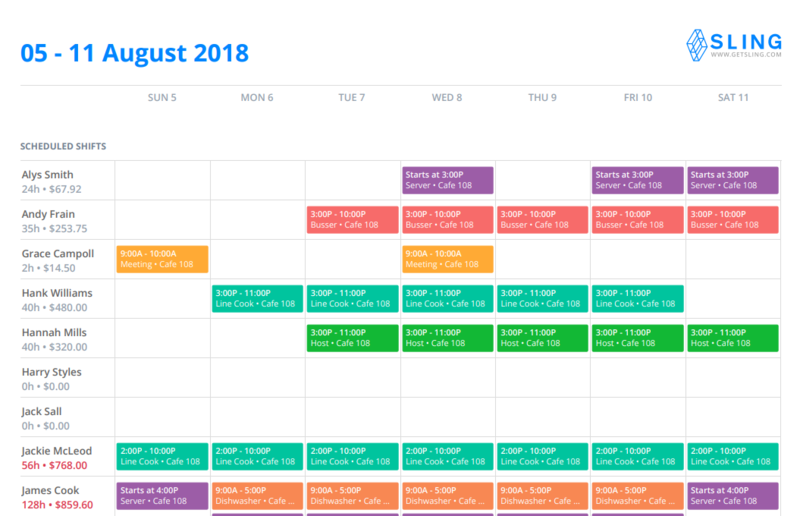 Here, choose whether you would like the schedule to appear in color or black and white, your preferred page size, page orientation, and whether you want to hide scheduled end times (for shifts with hidden end times only). Then, click the Download PDF button. 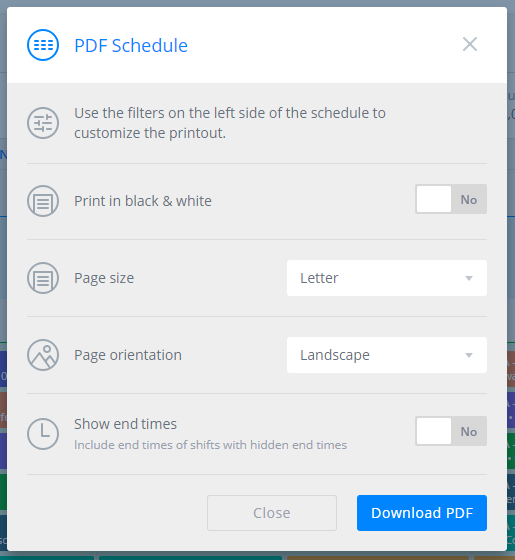 Once the download is complete, you can click the file to view and print the schedule or you can access it in your downloads folder to attach it to an email or post it online. 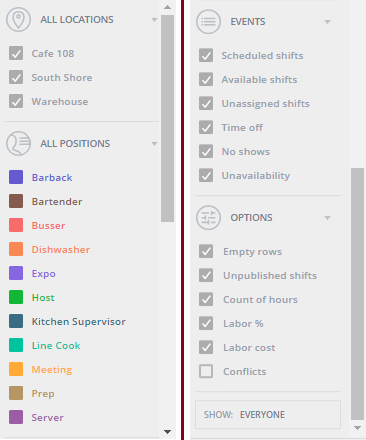 Right now, there aren't any options to change the layout within Sling, so the schedule will be downloaded and printed on as many pages as needed to show all shifts. You may be able to customize the layout within Adobe, though.